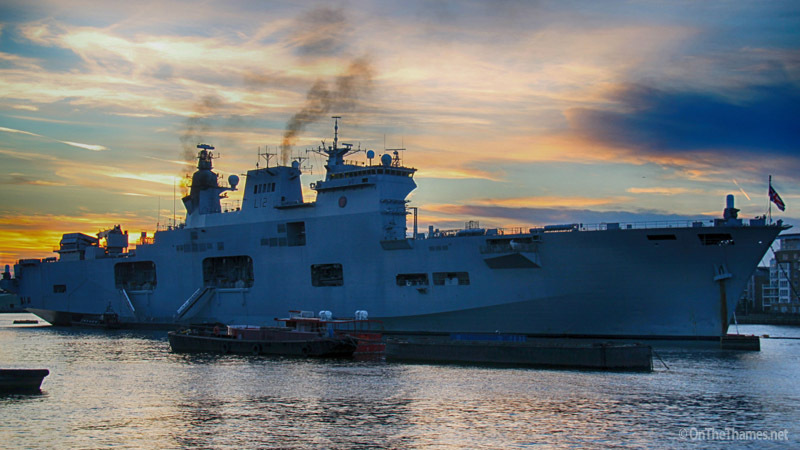 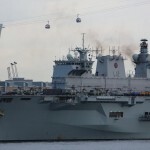 HMS OCEAN has been rededicated by The Queen after a £65 million refit. 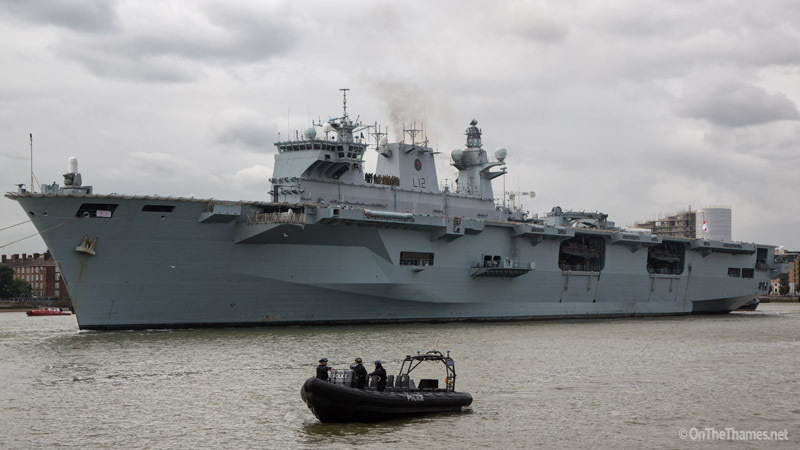 Her Majesty attended the service today in Plymouth today as the ship, the third to bear the name, prepares to re-enter service. 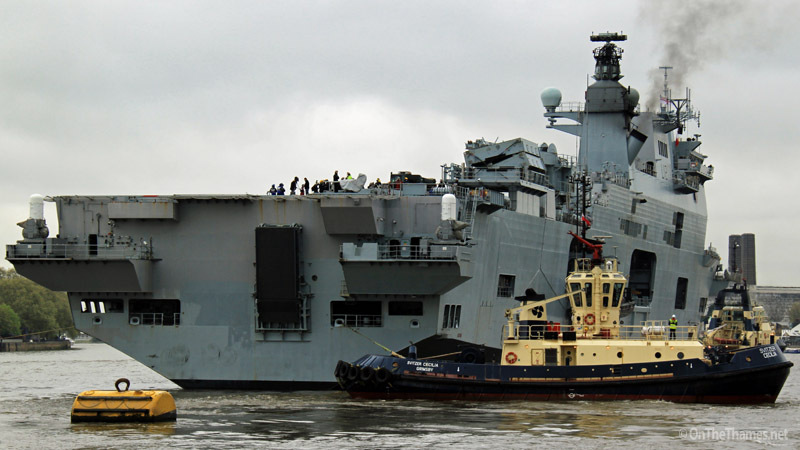 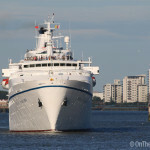 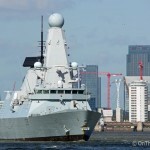 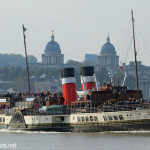 In honour of the Mighty O's rededication, here are some photographs of the 203-metre long platform helicopter assault ship when she was on the Thames in 2012 - the year in which she was a very visible sign of protection for London during the Olympics. 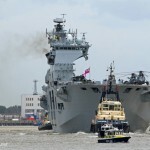 In Bugsby's Reach approaching the O2 on the first of HMS Ocean's two visits to London during 2012. 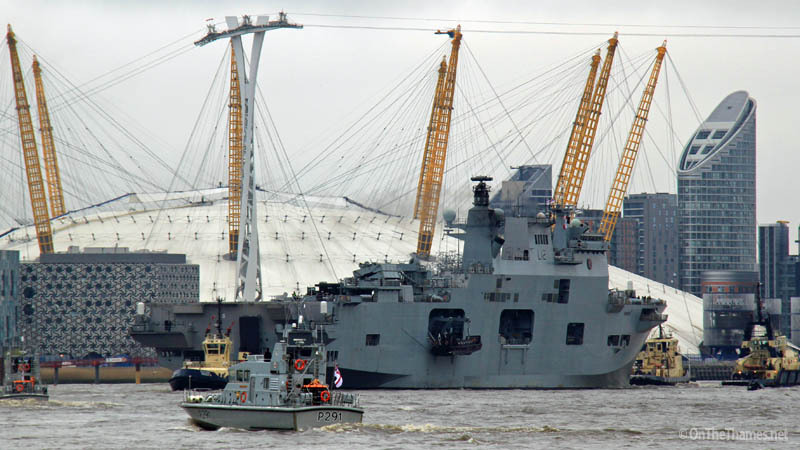 Svitzer Ceclia manoeuvres the Mighty O into position at the Greenwich Shipping Tier mooring. 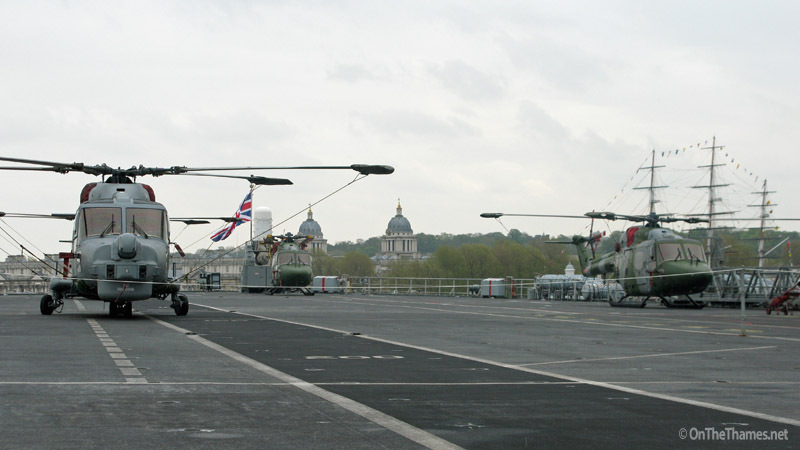 View from the flight deck looking towards Greenwich with the domes of the Old Royal Naval College and the masts of the Cutty Sark visible. 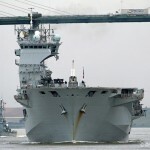 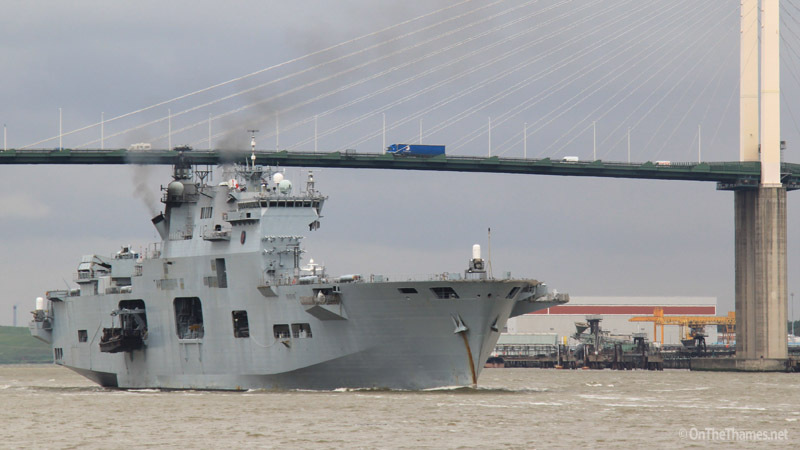 Hms Ocean outbound at the QEII Bridge.